Today was Day #2 of Chocolate Beverage Theme Week. 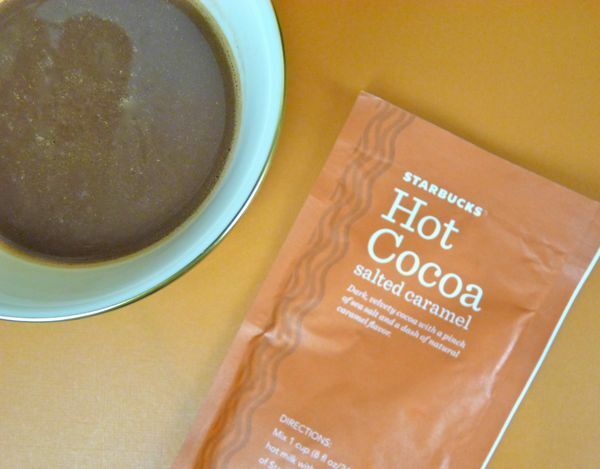 I mixed up a packet of salted caramel, dark hot cocoa mix from Starbucks (with hot water), stirred, and enjoyed in the comfort of my own home. 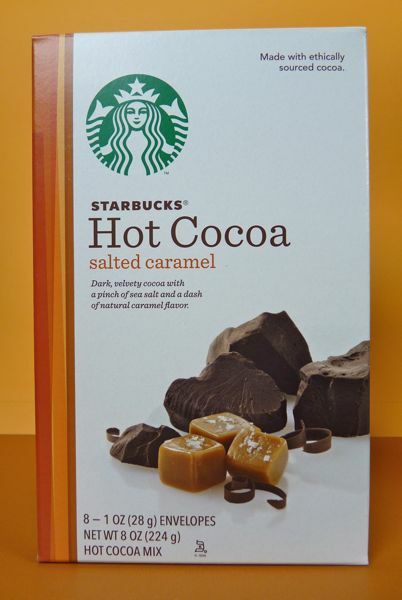 Three years ago, I had tried Starbucks seasonal, Salted Caramel Signature Hot Chocolate, made with milk, at a Starbucks location in San Jose, CA. This in-store version was made with 2% milk, and may have been just a bit better...or was that the whipped cream that they generously applied? Hard to remember that far back. In any case, it was a testament to today's hot cocoa mix that it tasted rich and smooth, even made with hot water instead of the recommended hot milk.